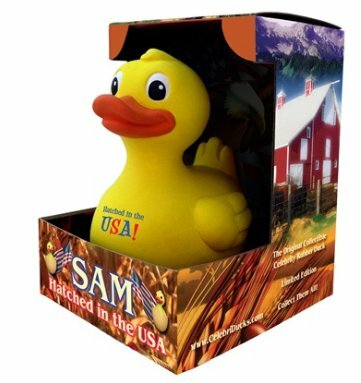 Sam the Duck in the Box: Great Gift item! SAVE WHEN BUYING MORE THAN ONE! Voted one of the top 100 gifts by Entertainment Weekly! 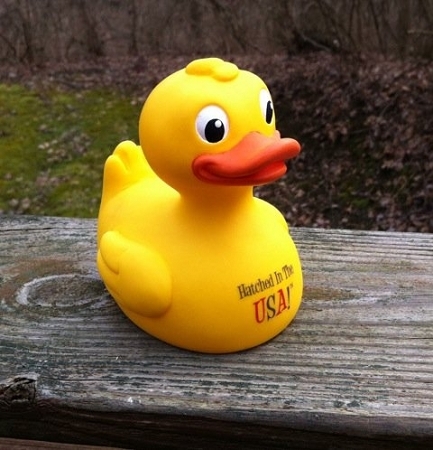 Introducing..SAM the Made in USA Floating Rubber Duck! Classic look! This is the real thing--it floats, it flies (well...). The Rubber Duck was actually designed and invented in the USA. Made here too, but like everything else, manufacturing eventually wound up overseas. Craig Wolfe, owner of the company said "enough" and has now brought the rubber duck industry back to the USA. SAM the duck...born here and made here... as it should be. 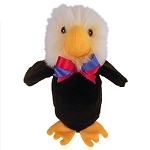 Stuffington American Bald Eaglet - Made in USA--ONLY 6 LEFT!